Rather than cloister herself away and create the play from whole cloth, Hardy gathered together with the cast. "Everybody did some writing exercises," she says. "And I got to know all the performers, and then once I had all this material...I ran away with it." The first run of the show turned out to be a big hit (and was nominated for multiple awards), so a return engagement was inevitable. 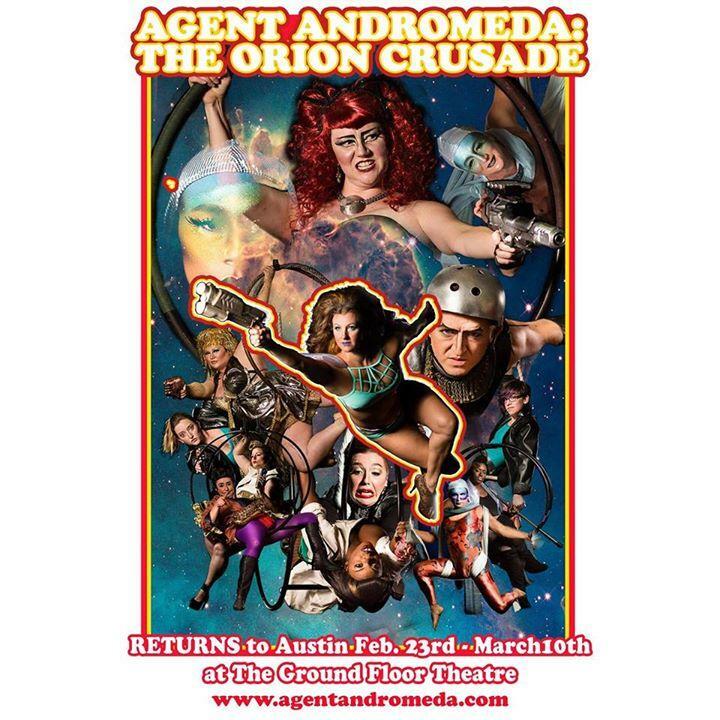 This year, Agent Andromeda: The Orion Crusade is returning to the Austin stage at Ground Floor Theater before heading out on tour. "It's an amazing production, and re-launching it has been so much fun," says producer and performer Ginger Snaps. "And getting to kind of really get at the heart of the parts we love the most, and play around with making things a little more mobile so that we can take it on the road has been really interesting." "With Agent Andromeda now, we're trying to kind of take the more Broadway approach to it, to where people can swing in and out of roles," Snaps says. "So we're seeing different people now in these roles and it's really cool to see the different things they're bringing to it." Agent Andromeda: The Orion Crusade runs through March 10 at Ground Floor Theater. 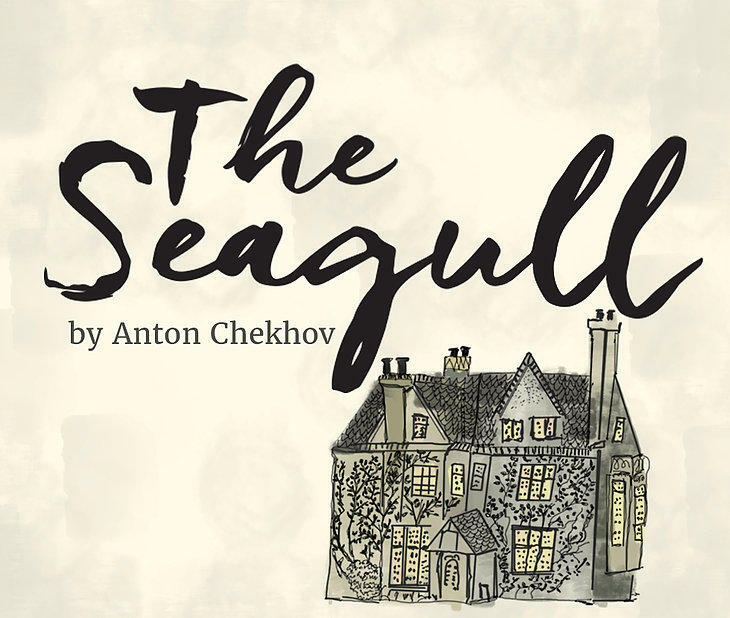 "It's sort of a love quartet," director Ann Ciccolella says of The Seagull. "That is, many people are in love with other people, and they don't necessarily get those people. But Chekhov himself said it had tons of love, and that it does." 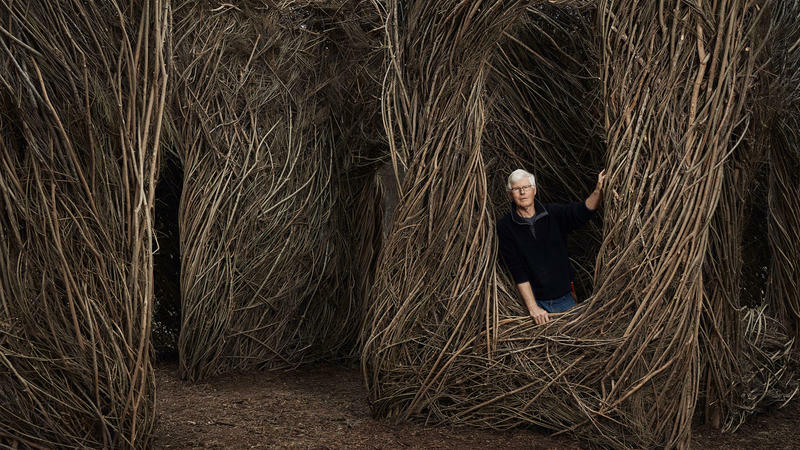 Over the past 30 years, artist Patrick Dougherty has created more than 250 Stickwork sculptures across the globe. The large-scale works, which are made from natural elements, tend to resemble whimsical structures or huts; they're meant to be touched, entered and explored from all sides. His latest work has just been completed in Pease Park. 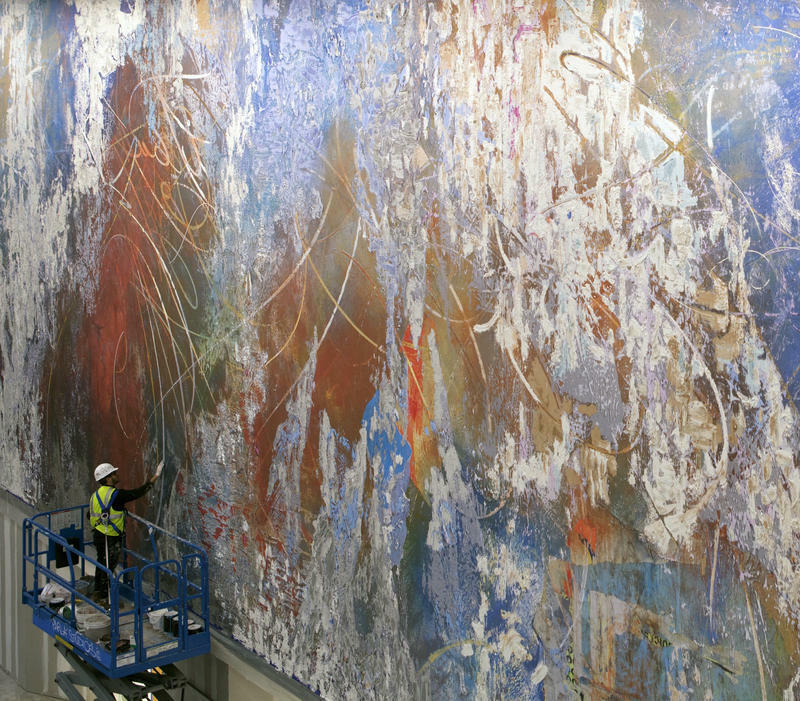 Landmarks, UT's public art program, is set to unveil a monumental new work by painter José Parla. The mural, titled Amistad America, is the largest of his career, measuring 25 x 160 feet, or some 4000 square feet. "I had worked on several large-scale murals before, so I didn't have a fear of how to approach it," Parla says, "I know how to do it somehow -- there's something natural that happens in how I approach it. But this was even larger than anything else I had done before." A work this large is not created quickly; Parla has been working with Landmarks for the past four years to create Amistad America. He first created a scale model, and even that was a large endeavor. "I made this model in my studio, which is not so small either -- it's six feet by twenty-four feet," he says. "So I... transformed myself into a very small person in my imagination and worked the mural from that perspective."